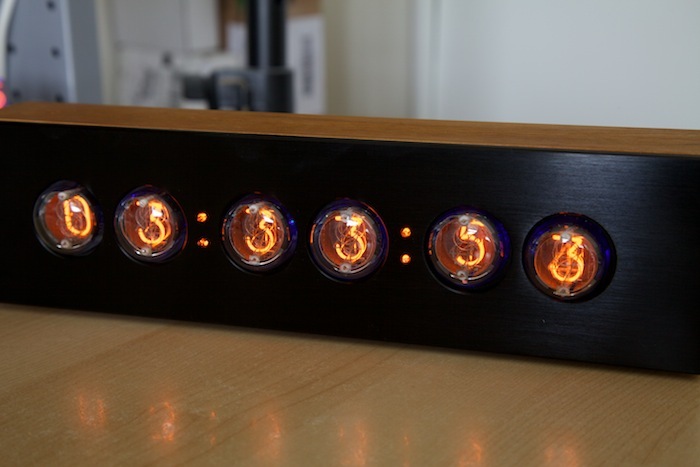 Omnixie has been very popular in the nixie clock community. Now it’s big brother, Omnixie Plus, is coming to town in May 2019. Omnixie Plus has the same features as Omnixie, with larger clock body to support large tubes, including IN-18, Z566M, Z5660M, ZM1040, ZM1042. In other words, Omnixie Plus will have two flavors, which differs in socket type only. One socket is RSH31, used by IN-18. And the other socket is B13B, used by Z566M, Z5660M, ZM1040, ZM1042, etc. And even better, the colons are removable! So if you ever need to remove all the tubes and colons, the clock body will be super slim, about 1/2 inch thick! Keep an eye on our website if you are interested in it! Enjoy 8% OFF site-wide for all visitors from Facebook. Start using the discount NOW. We are working on a new version of our popular Black ‘n’ Wood Nixie Clock Soldering KIT. It will be available for sale in July, if everything goes smoothly. Other performance tune-up, and improvements. Please subscribe below to get the latest updates of the KIT, and get notified when the KIT is available for sale. We were at the Maker Faire last weekend, and it was a lot of fun. Wanna put your hands on our pretty clocks and take a closer look? Wanna see the vintage clocks in our collection but not for sale? You have some questions about nixie tube clocks and wanna ask us in person? Even better, you wanna a discount on our clocks, which were never offered online? We attended the Maker Faire last year and talked many nixie enthusiasts. We are eager to meet you this year too! We will update you our booth number once it’s available. Currently we have 5 products/variations on Amazon, and more are coming. Continue reading We are on Amazon!